Ghosn, a towering figure who saved Nissan from collapse and brought it together with Renault SA and Mitsubishi Motors Corp., was detained Nov. 19 in Tokyo over the suspected breach of Japanese financial laws, Nissan CEO Hiroto Saikawa told reporters in Yokohama, Japan. Ghosn and Director Greg Kelly have been under investigation at Nissan for several months, and the board is set to meet Nov. 22 to remove them. Ghosn and Kelly were reporting compensation to securities regulators in Tokyo that was less than the actual amount, Nissan said, adding that they did this to reduce Ghosn’s disclosed compensation. Regarding Ghosn, “Numerous other significant acts of misconduct have been uncovered — such as personal use of company assets — and Kelly’s deep involvement has also been confirmed,” the carmaker said in a statement. Saikawa said the company can’t disclose further details of the suspected wrongdoing. Too much power being concentrated to one individual allowed for the misconduct, and Nissan failed to detect it because its structure wasn’t transparent enough, he said. Ghosn is suspected of understating his income by 5 billion yen ($44 million) over five years, Kyodo reported. The bombshell allegations threaten to bring down one of the auto industry’s most powerful executives, who turned Nissan and Renault into a challenger to giants Volkswagen AG and Toyota Motor Corp. They also cast doubt over the future of the alliance, a three-way pact that has sought to go deeper under the steady hand of Ghosn, 64. While no longer Nissan’s CEO, he’s been laying the groundwork as chairman to make the alliance permanent after his departure — including the possibility of a merger. The news rattled the European equity market, with shares of Renault falling as much as 15% in Paris, while Nissan’s global depository receipts sank more than 11%. The crisis at Nissan is taking place amid a tectonic shift in the auto landscape. The move toward electric and self-driving cars has forced traditional automakers to invest billions, while new competitors such as Uber Technologies Inc. and Tesla Inc. invade their turf. Ghosn would be the second major auto-industry figure to leave unexpectedly before seeing through the transition. Sergio Marchionne, who led Fiat back from the brink and engineered its merger with Chrysler, died in July, leaving 54-year-old former Jeep chief Mike Manley at the helm. Nissan said it has been providing information to Japanese prosecutors and is cooperating with their investigation. Ghosn went voluntarily with prosecutors, the Asahi newspaper reported earlier. A representative for the Tokyo prosecutors’ office said it doesn’t comment on individual cases, and a spokesman for Renault also declined to comment. Under Japanese law, prosecutors need to make official charges before a case can be brought to court. So Ghosn’s arrest doesn’t mean he’ll be found guilty. It’s unclear where he is now and how long the legal process will take. Ghosn said in September that he will continue to pare back his role at the three automakers he brought together while continuing to head their alliance. 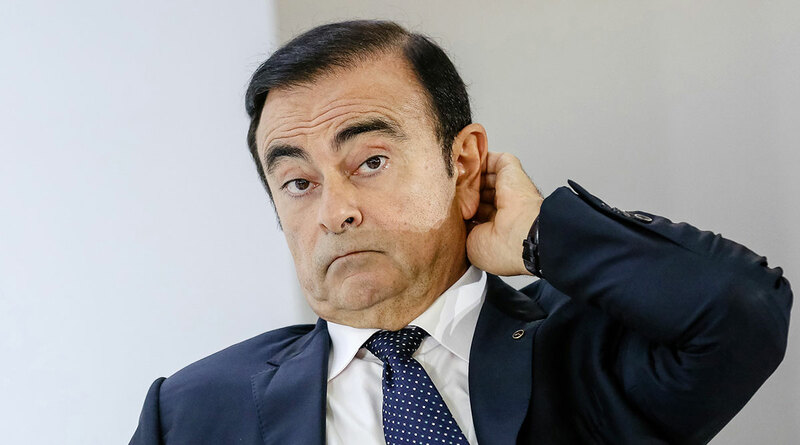 Among the best paid executives in Japan and France for several years, Ghosn’s compensation has been criticized regularly. He receives numerous paychecks in his multiple roles as chairman of the Renault-Nissan-Mitsubishi alliance, CEO of Renault, and chairman of Nissan and Mitsubishi. At Nissan, he was paid about 1.1 billion yen ($10 million) for 2016 and about $6.5 million in the most recent fiscal year. He took home about $8.5 million at Renault and about $2 million from Mitsubishi in the latest period. At Renault, his package for 2017 was narrowly passed by Renault shareholders but only after he agreed a 20% reduction. A spokesman for France’s finance ministry declined to comment on the news. The country owns about 15% of Renault and supported Ghosn’s renewal at the helm of the French automaker. A Brazilian-born French national, Ghosn revived Renault as executive vice president from 1996 to 1999. He then was assigned to turn around Nissan, where he reduced the company’s purchasing costs, shut five factories, eliminated 21,000 jobs and invested the savings back into 22 car and truck models in three years. The latest developments add to a string of crises in the Japanese auto industry, from scandals involving product quality to falsification of records. Nissan found itself in the midst of a controversy last year, when Japan’s regulators discovered uncertified inspectors were approving vehicles, leading to a recall of more than 1.2 million cars.